Welcome and thanks for visiting us. Here you can see some of my work with past clients. Please feel free to contact us for your special occasion. We specialize in beautiful pictures for your one of a kind event. Our goal is to satisfy and accommodate all your needs for the success of your memorable moment. "Santa Isabel based photographer, Jose Zayas is a natural light and location photographer that specializes in portrait, maternity and quinceañera photography in the most natural ways. He serves all Puerto Rico." 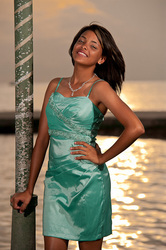 We offer your whole photo session in video. These high quality videos are perfect for showing at your reception and to watch at home to remember your special occasion. "He made it look so easy..."
"Thank you for a wonderful experience..."
"I had an awesome time..."
Contact us for a free consultation. Beautiful pictures for your special event are just a click away!